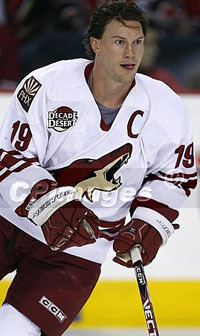 Shane Doan... A Possible Edmonton Oiler in 2012? I was lucky enough to not be working last night and was able to make it to my beer league slo pitch game. Well surprise to me, Brook brought his family that was in town to fill in for the players missing. Brook brought his sister Leighann and her husband Chad. Both great people and pretty good ball players too. Brook also brought out his brother Shane. What a thrill for me that was. Last time I was this close to a guy from the NHL, former Canucks player Zenith Komarniski was rabbit punching me in the face during a ball hockey game in Edmonton. I had to laugh a little as Shane's wife was giving him the gears about playing before the game started. "You be careful!" "Your not that young anymore!" "Are you sure you want to do this?" Haha! Loved it. My wife gives me the same guff and I'm not a pro athlete. All three of them played great. All good hitters and I think they had fun playing with us. I know I enjoyed myself. I'm not a fanboy and I made an effort to not be a hockey nerd. It was clear anyways, as I'm rocking my Oilers shirt and hat. Even my bat is blue and orange. It's funny to know how many people didn't know who he was. It took most everyone, half the game to figure it out. So did I get a picture or an autograph? No. The guy was trying to be a normal guy playing ball and I wanted to treat him as so and not pester him with hockey stuff. He's as normal as you and me. You can tell he's a captain of a team. He went up to every single person on the team after the game was over and shaked their hands and thanked us for allowing him to play. He made sure to get everyone and he remembered everyone's names. Classy stuff that was. So as the game is pretty much over, the topic of him being in Phoenix came up. He said that it was good and he has one more year there. Then what? He replied with a smile. Of course, he can't really say much about his situation. But you know me. I mention the Oilers as an option and he starts to go on about how great of a place Calgary is. I just about Luongo'd on my beer. CALGARY?!?! Then he looks at me and says "Why would I ever go to Edmonton?". While I'm standing there trying to think of my best thing to say (I'm losing my mind right at that moment and I'm sputtering something out about Hall, Eberle and RNH), he ends up standing there laughing at me. He was completely kidding around. He told me that the Oilers are his favorite team. Always have been. "Will you come to Edmonton then and finish off your career at home? ", I asked. No answer... just a big smile. That gives me hope. BRING DOAN HOME!!! In case you missed this, I thought I would post it here. Edmonton Oilers General Manager Steve Tambellini talks about the Ryan Smyth trade. 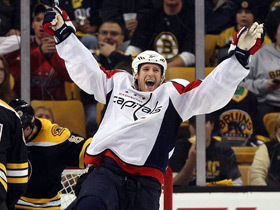 What's Not To Like About Brooks Laich? If the Oilers are going to try and shore up some more veteran leadership like Steve Tambellini has mentioned, Brooks Laich is my leading candidate. Here's why. His stats only tell us half of the story but it's a good place to start. 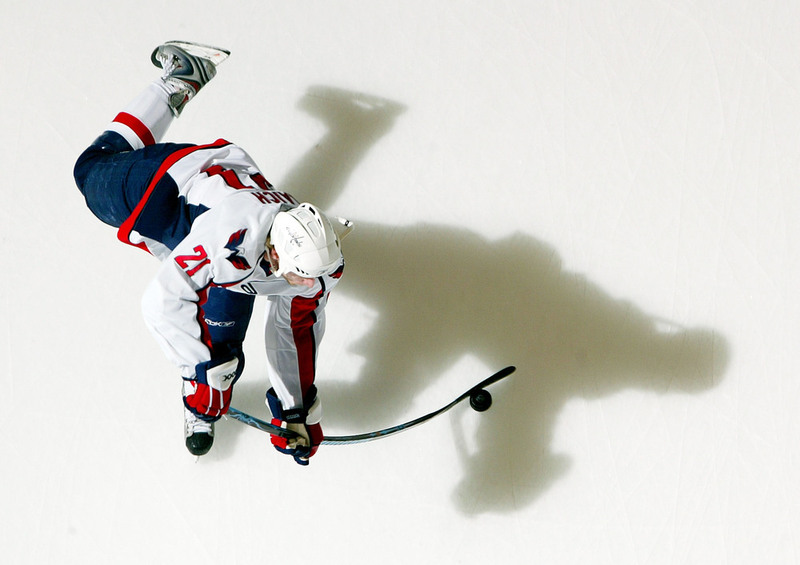 Last season he played in all 82 games with the Washington Capitals. In those 82 games he posted 16 goals, 32 assists for 48 points. Brooks Laich would have led the Oilers in points last year if he was here. Says a lot for a guy. He finished the year +14 and had 46 penalty minutes. His best season points wise, was in 2009/10, when he played 78 games, scored 25 goals and had 35 assists for 59 points. WHAT DON'T THE STATS SAY? He's a leader. He not only wears an A on a team that is stocked full of talent, he's one of those guys who takes charge in the dressing room. He's not afraid to wear his heart on his sleeve. He would be a huge asset for the Oilers and he would set a great example for the young rookies. He is excellent in his own end and plays well on the PK. He's a well rounded player. Not only is he defensively sound, he can join an attack and put up points too. That 59 point year wasn't a fluke. He can do it again. I'd bet on it. WHY WOULD HE WANT TO COME TO EDMONTON? Why wouldn't you? Look at the raw young talent (Hall, Eberle, RNH, Paajarvi, Hemsky, Omark, Teubert, Petry, etc...) that is getting ready to take the NHL by storm. Added in vets like Ryan Whitney and Ryan Smyth and you have a pretty good support group to move forward with. Laich can be apart of this. This looks like a good place to cement your name in history. The Stanley Cup will be won by the Oilers in the future, why not get on board now? Oh boy. Here's the tough part. To some people, Brooks Laich is the 2nd best UFA out there after Brad Richards. So this could get ugly. Off the top of my head, I would bet he gets at least a 5 year deal, maybe even more like a 7 year deal if teams are desperate. If he can cash in on a long term deal, I'm guessing he will take it. Last season he made $2.4 million. If it's true and he is coveted by more than just the Oilers, I could easily see him getting $5 million plus, even though I think he's worth more like $3.5 to 4 million. He will be overpaid. Can the Oilers really go all in like that and pay a guy like Brooks Laich, $5 million a year for 5 years or more? I'd like to think so, but I really doubt they commit to that much right now. This may just be a pipe dream. Gilbert Brule... So Now What? 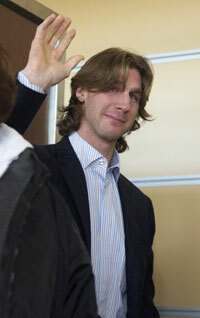 It wasn't a secret that Gilbert Brule was in the original deal for Ryan Smyth a few days ago. Darren Dreger and Bob McKenzie broke the news and for those two days, that - other than the draft stuff of course - is all we heard. Smyth for Brule and a 4th. Then it was for Brule and a 5th. Then back to a 4th. But finally today, the deal ended up Fraser and a 7th. Glad that's over. Turns out, the Kings would have done the deal yesterday, for just the 7th round pick and no roster player, but the Oilers obviously made it clear that they wanted to dump a little salary in this deal. Fair enough I suppose. 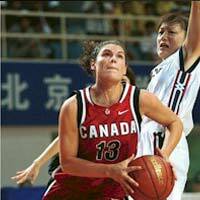 With taking a huge contract in Smyth that does add some cash to the expense account. But the Oilers are not a cap team right now, so why worry about a dump today? Brule now knows how the Oilers feel about him now and I'd be surprised if he's "all good" with how this all played out. I'd be a little pissy too. Wouldn't you, knowing the team you play for, was willing to dump you to a team that is going to buy you out or stick on the AHL? Ouch! How hurt are his feelings? Can he look past all this and move on? I have no idea. This story isn't over. 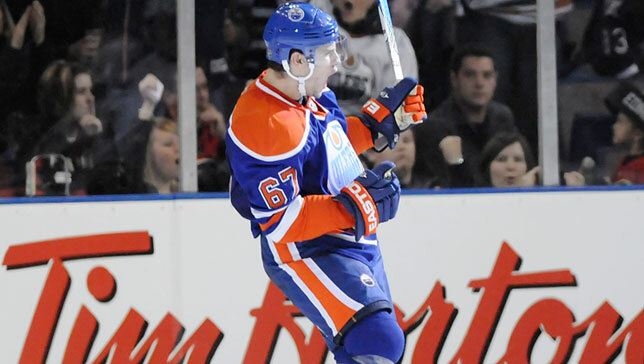 Smyth will help the young Oilers like no other person could. He's going to show them what it takes to be an Oiler. What it takes to be the best. We have our leader back and it's about damn time! All is well in Oil Country. On a side note. Sad to see Colin Fraser go. He was a decent player for us but just never worked out like planned. I wish him luck in the future as I have no idea if the Kings will buy him out or not. WooOooOooOooo!!! 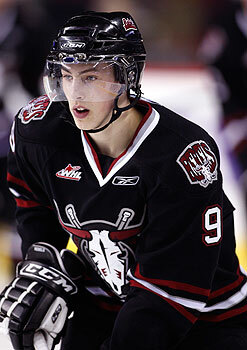 The Edmonton Oilers are proud to select, from the Red Deer Rebels, #93 Ryan Nugent-Hopkins. UPDATE: The Oilers select defenceman Oscar Klefbom. Sheldon Souray or Ryan Smyth? Now that buyout time is on us, one has to wonder why the Oilers have yet to make a move on Sheldon Souray. They will have to put him on waivers and after that if no other team claims him, he can be bought out. But that hasn't happened yet. Why not? The salary cap is going up for next season and the Oilers do need to add some salary to the payroll to make the cap floor. Souray, if willing to play here, can fill the cap void. Maybe that's why the Oilers have yet to buy him out? 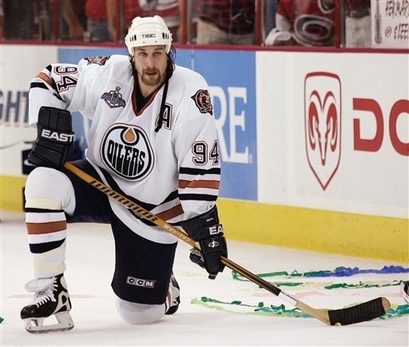 Word today from Bob McKenzie is that Ryan Smyth has told the Kings that he would like to play in Edmonton next year. If a trade can be done, he wants to come home. HOLY CRAP!!! I'd take him in a heartbeat. No questions asked. Smyth is everything an Oiler should be. Smyth back in Etown would bring the cap up by $6.5 million next season and would make the cap restrictions all better again. He has 1 year left on his current deal. If the Smyth trade can happen, then see ya Souray. If not, it's damn possible #44 is back on the blueline next season. Ugh! BRING BACK SMYTH!!! 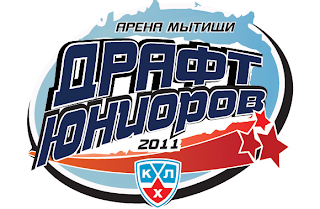 On May 28th, the KHL held their 3rd entry draft. This year, out of a pool of 371 players, 134 were drafted. No voided picks, like the three from last year when teams drafted players that had already signed an NHL contract. Not that this affects the NHL draft, but it is a bit interesting to see the mindset of the Russian clubs in their picking. Chances are, most of the guys drafted by the NHL will never see the KHL, but some teams still take the chance. Below, I included those picked that have already been drafted in the NHL, the top projected picks at this year's NHL draft, and just a few that I thought were interesting. Notably absent in both years, Ryan Nugent-Hopkins. For whatever reason, I don't know. But considering some of the names that have been drafted by the KHL, it's a bit odd that he wasn't chosen either year.